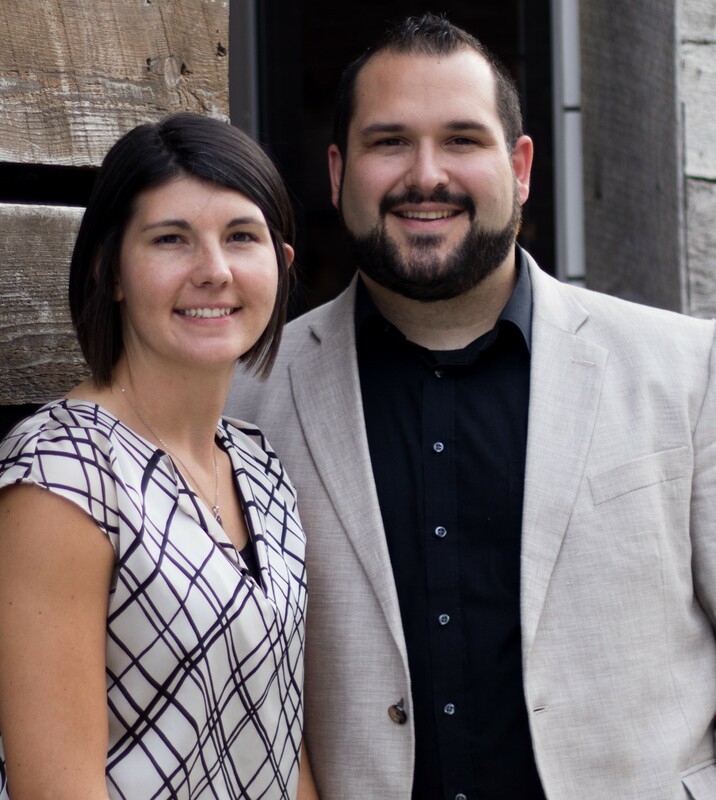 We are Adam and Ayla Cottrell, missionaries sent out of Cherry Street Baptist Church in Springfield, MO to Thailand. In May of 2017, we were approved as missionaries with the Baptist Bible Fellowship International. Located in southeast Asia, Thailand is an open door for the gospel. Our goal is to reach the Thai people through evangelism, discipleship, and working with nationals to plant indigenous churches. God is on the move in Thailand and we are excited to serve Him there! Please watch our video below to see what we will be doing in Thailand. Growing up in a pastor’s house I’ve always been exposed to ministry. At a young age I learned how to act like a Christian but wasn’t remotely interested in serving the Lord. That all changed the day I got saved. As a 14 year old I accepted Christ as my Savior and began to grow in my relationship with Him. By 16 I was teaching a Sunday School class and knew that God was calling me to full time ministry. I surrendered to God’s calling on my life and began to serve full time in Youth Ministry…extremely thankful that He hadn’t called me to be a missionary. When I moved to Springfield, MO to continue my education at Baptist Bible College Graduate School God opened the door for me to join the ministry staff of Cherry Street Baptist Church. In 2013 our church took a Missions Trip to Thailand. I stepped off the plane and immediately knew God was up to something. God impacted my heart with the magnitude of the harvest He is preparing in Thailand and the need for laborers there. After a few days of doing ministry there I knew that God was calling me to be a missionary in Thailand. I returned home and after much counsel with my pastor, family, and friends, and long periods of prayer, I surrendered my life again to the Lord and this time to His specific calling to missions in Thailand. Since surrendering to missions God has laid out a clear path, and plan, for us to begin serving Him in Thailand. We will begin working alongside veteran BBFI Missionaries, Ricky and Tammy Salmon, in Bangkok, Thailand. We have many open doors to do outreach programs in local schools, teach English with the goal of evangelizing the lost, and to work in churches planting youth groups. Our three primary goals are to; 1) Evangelize the lost, 2) disciple believers, 3) train national leaders for ministry. Please prayerfully consider supporting us through prayer and financial giving as we seek to proclaim the hope of the gospel to a land without true joy. I grew up surrounded by unbelievers. I did not hear the miraculous truth of Christ dying on the cross for my sins until the age of 8. I realized at that moment that I was a sinner and that I could have a personal relationship with Jesus Christ if I just repented of my sins and asked Him to save me. I did not attend church regularly until I was almost 10 years old at which time I began to be discipled through attending Sunday school and the Awana program at New Testament Baptist Church in Largo Florida. Throughout my discipleship I realize my need to follow in obedience to the Lord’s will in baptism. I was baptized at the age of 12. By age 13 I was a junior leader in Awana, and helped on the bus route that picked me up for every church service. At the age of 14 my family moved to Lewisville, Texas where I attended Central Baptist Church. The bus ministry was again a very big part of my ability to be able to attend faithfully. The Lord used me to take over the bus ministry at age 18. At that time I also began teaching 2nd-4th grade. Throughout this time of serving the Lord began to make clear to me that His desire for my life was full time service. It wasn’t until I truly surrendered my heart to Him that He made it clear to me that foreign missions was His calling for my life. At age 24 I completely surrendered and made the move from Texas to Springfield Missouri to attend Baptist Bible College. In September of 2014 I began dating my now husband, Adam Cottrell. He was about to take a trip to Bangkok Thailand where he felt the Lord leading him to serve as a missionary. I transitioned at that time from seeking and praying about which country God would want me to serve in to praying specifically about the country of Thailand. I was blessed to be able to take a trip to Thailand in May of 2015. God established in my heart a love for the Thai people and a burden to see them come to know the Savior that I was introduced to at age 8. Adam and I were married in August of 2015, and we are looking forward to one day very soon being a full time part of the ministry in Bangkok Thailand. For now, Adam and I are serving at Cherry Street Baptist Church in the Middle School, Bus ministry, nursery, and youth drama club. We are thankful to be able to serve the people of Springfield Missouri and see them saved, baptized, and discipled consistently. God has blessed our lives in a mighty way, and we look forward to seeing what amazing things He continues to do. A spiritual darkness has overshadowed Thailand for centuries, with the Buddhist religion at the center of all aspects of life. And There’s an Open Door for the Gospel. -Win the Thai people to Christ. -See believers baptized, discipled, and actively serving. -Work with young people to train future church leaders and church planters. -Served as Associate to the Pastor. -Served as the Youth Pastor. -Directed Weekly Junior Church Program. -Taught a Sunday School Class Weekly. -Served as a Camp Counselor. -Served weekly in the visitation ministry. -Helped maintain facilities and grounds. -Served as a youth leader weekly. -Directed the Kids Sunday Night Church Program bi-monthly. -Participated in the Pastor’s Training Class. -Ministry Staff Assistant to the Pastor. -Coordinated College Class Outreach Activities and served in Sunday School weekly. -College Class Care Group Leader. -Directed after school Good News Club and served as Bible Lesson Teacher. -Directed the Middle School Sunday School and Awana program. -Directed our church in Middle School Camp and served as Counselor. -Planned and Directed VBS Youth Events. -Served in, and helped manage, Maintenance and Facilities Office. -Completed several remodels of ministry areas with Facilities Team and Volunteers. It is my joy and honor to give my 100% recommendation of Adam and Ayla Cottrell to be missionaries to the country of Thailand! I have observed Adam to be a great leader to others as well as his personality naturally draws people toward him. He has shown a love for God’s Word as a student of the book and does a great job teaching and preaching. I believe this is a great couple who we are blessed to be able to support on the field and I highly recommend them for support as missionaries to the country of Thailand. It is a great honor and privilege to recommend to you Adam and Ayla Cottrell. I have known both of them for many years. I have had to privilege to work with Adam in various ministry forms over the past 10 years. From camps to revivals and from visitation to personal conversations it has been my joy to watch him grow in his relationship with Christ and now in his relationship with Ayla. I am looking forward to all that they will do on the mission field. How they will be able to tell others what God has done in their lives and how He can also do it for them if they will just trust Him. Would you please consider this young couple for both financial and prayerful support? They will not let you down and they will make a difference around the world. I have known this couple for over 5 years and have always known them to be a man and woman of God; doctrinally sound; faithful to God, their family, and their church; responsible in all duties; passionate for world missions and souls; and of great integrity. I believe that their skills and experience make them an excellent candidate to work as missionaries of the Baptist Bible Fellowship International.